This workshop previously scheduled for January 21 has been RESCHEDULED to provide space for major events occurring in Seattle that day. Please join us on February 11 at the Seattle Center. Join us for Seattle Experimental Theater’s next improv workshop – learn from our veterans as they share their expertise and unique perspectives. “Can’t We All Get Along” with Tony Beeman will be offered on February 11, 2016 from 1 – 4PM. Spaces are limited and advance registration is required. Class fee is $45. The class is recommended for advanced and intermediate improvisers with at least some performing experience. Tickets available at Brown Paper Tickets. Theatre, literature, cinema and real life are all filled with people who get along. People who fall in love, maintain friendships, help each other out, and build a better society. The same can’t always be said for improvised scenes. Improvised characters spend a lot of time fighting, disagreeing, or betraying each other. It can be hard for improvisers to find tension without reaching for external conflict. This workshop will explore internal conflict and find different sorts of tensions. We will work with scenes between characters who like each other, who fall in love, and who genuinely want to help. We’ll explore characters who are at war with themselves, not with someone else. We’ll look at off-stage conflict, and how on-stage characters can embody that conflict in interesting ways. We’ll also explore how to create mixed relationships: odd couples, relationships of grudging respect, love/hate relationships, and characters who fall in love with the worst possible choice. These tools are important building blocks for long form and also a great way to vary your short form work. Tony Beeman has been improvising, teaching, and directing in Seattle for over ten years. He makes his improv home at Unexpected Productions, where he serves as Artistic Associate, and teaches the Performance 600 class. He performs regularly with Seattle Experimental Theater (Where No Man Has Gone Before, The Doctor, Time’s Arrow). He is a founding member of NERDProv, Seattle’s geekiest improv group, and can be seen on HyperRPG’s Shadowrun Twitch Show, Corporate SINs. He likes to watch characters fall in love more than anything. SET’s October 2016 world premiere “Time’s Arrow” visits the Pocket Theater for one night only as part of their Improv Month celebration! Join us on January 20, 2017 at 7PM. Time’s Arrow is directed by Elizabeth Brammer and produced by Seattle Experimental Theater. The old jail that might be haunted. The house that has housed three generations of a family. The local restaurant that was the site of a bank robbery in the 1940s. What ghosts are you walking through? The spaces around us are rich with history defined by wonderful, terrible, forgettable, sublime individual and collective experiences, yet we exist in them for only one moment at a time. “Time’s Arrow” invites you to take a walk through the spaces of the past. Every performance, Time’s Arrow uses stories from the audience to explore the layers of life piled in a single location. Tickets for SET’s next production, the world premiere of “As You Wish”, an improvised Twu Wuv parody inspired by the Princess Bride, are NOW ON SALE at Brown Paper Tickets. Performances Feb 2 – 14, adult tickets start at $21. Click here to buy tickets now! Seattle Experimental Theater is proud to present its latest original improvised play: As You Wish, a parody inspired by The Princess Bride. 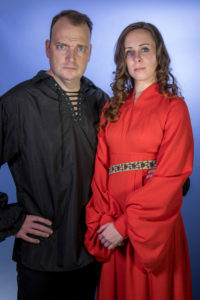 During every performance, the cast will combine suggestions from the audience with the beloved story of The Princess Bride – creating a hilarious and heartfelt show. Join us for danger, adventure and of course, Tru Wuv, all inspired by the audience. As You Wish is created and directed by Paul Levy and is presented in association with Theatre Off Jackson. Join us on Tuesday, February 14 for a special performance of “As You Wish” heavy on the romance. This specific performance is recommended for ages 12 and up. Ticket price includes complimentary chocolate. ADVANCE: $31/ ticket, $62 for couples online. Seattle Experimental Theater is excited to reveal the first show in our 2017 season! As You Wish is a world premiere improvised parody inspired by the world of the cult classic book/film “The Princess Bride”. February 2, 3, 4, 9, 10, 11, and a special Valentine’s Day Performance February 14th. As You Wish will be performed at (and in partnership with) Theatre Off Jackson in Seattle’s International District. 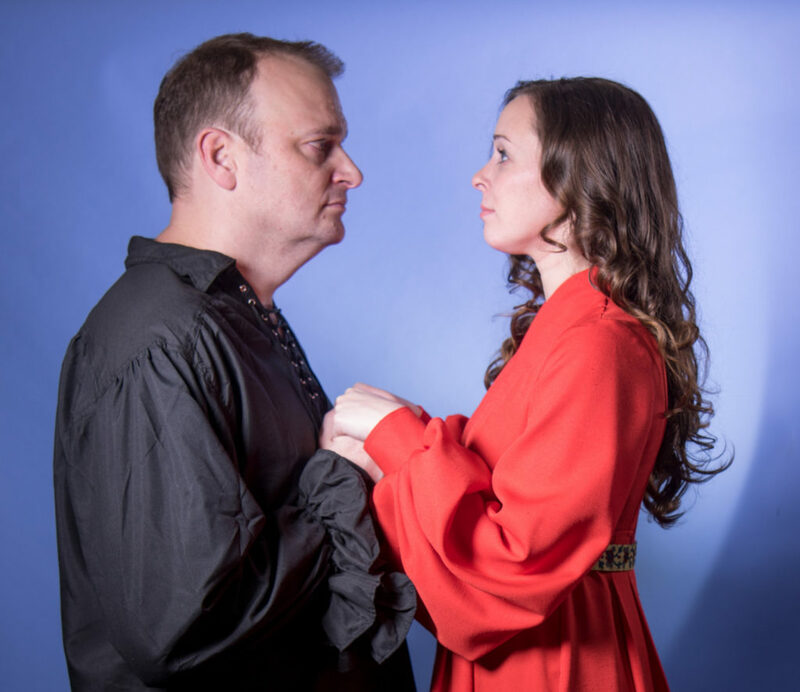 As You Wish is supported by a small cast of improvisers that are willing to take risks, play, and ultimately have fun together telling a timeless love story fraught with notable perils. The production features improvisers that are light, playful, and comfortable breaking the rules and inviting the audience along the journey with them – the fourth wall is there to be broken. Directed and created by Paul Levy (Where No Man Has Gone Before). The cast features Marc Guy (The Journal), Amalia Larson, Ryan Miller, Christine Riippi (Wedding Horror Stories, The Wolf and the Witch), Jessica Robins, Jaclyn Schuenzel, Kayla Teel, and John Wachter. We’re pleased to announce that the cast of our original 2013 improvised comedy Wedding Horror Stories will be bringing their work to Jet City Improv’s “Winter Wonderprov” variety show to help raise money for those in Seattle who find themselves in need this holiday season. This one-night-only festival features 5 different indie groups from around the Seattle improv scene. For tickets and more information, visit the Jet City Improv website. Where No Man Has Gone Before Returns March 15 & 16th! Seattle Experimental Theatre brings the finest in long-form improvised theatre and groundbreaking scripted theatre to Seattle and beyond.